Homeowners Insurance | Insurance Concepts & Risk Mgmt. Buying a home is a major decision in every homeowner’s life and part of that process is purchasing homeowners insurance. When a mortgage company is finalizing the amount approved, part of that approval is providing proof of insurance for the home. Depending on what type of coverage you have, you will have to cover the deductible and the rest will be covered by your policy. Every policy has a basic liability amount that is covered. This means a certain amount is set aside to cover a specific amount of the damages. Liability can also be helpful if someone is hurt while on your property and has to get treated. Their medical costs or expenses can be covered by your liability homeowners insurance. Another part of a homeowners policy are damages caused by natural disasters. If you live in area that is prone to damages caused by weather related issues, you may want to specify that you want extra coverage in cases in which your home could be damaged by a natural disaster. Homeowners insurance doesn’t just cover damage to you home, it covers your property inside the home as well. If you have valuable items in your own like jewelry or high valued electronics, homeowners insurance can protect you in the case of theft or vandalism. You can also get extra coverage for items that have an exceptionally higher value than what your personal coverage allows. Although you cannot predict what events may happen that involve your home, you can do whatever possible to keep those that live there and your guests protected in the instance that something happens outside of your control. 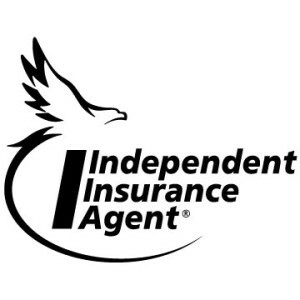 Keeping you and your items safe is a job that Insurance Concepts & Risk Management based out of Scottsdale, AZ has been doing for years, and we can’t wait to do the same for you.